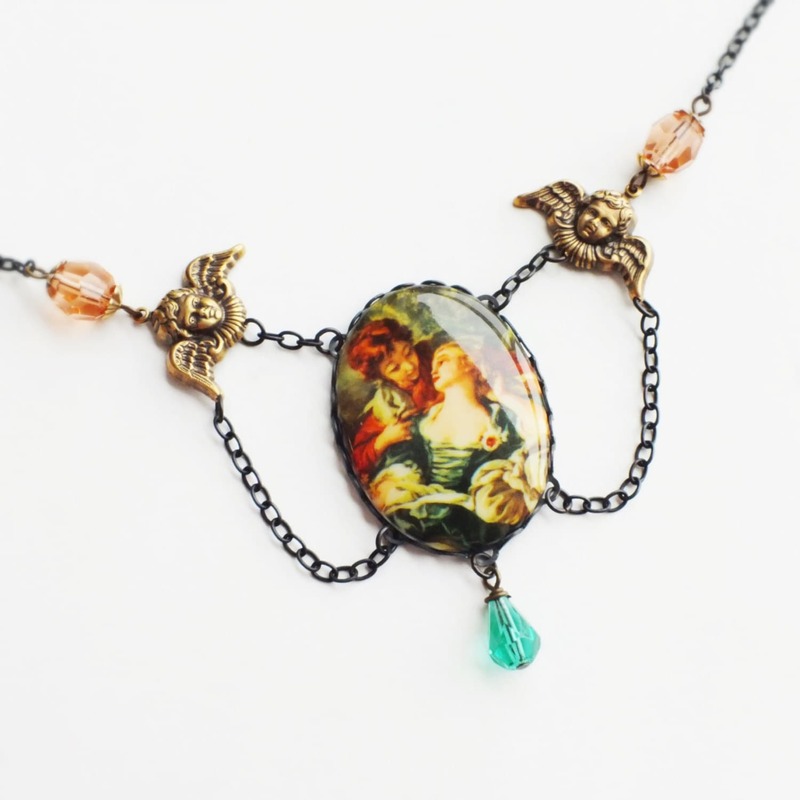 Handmade romantic Renaissance statement necklace with vintage Fine Art oil painting love cameo pendant. US made antique brass components. Cameo is 1 1/2 x 1 1/4 inch - 3 x 4 cm. 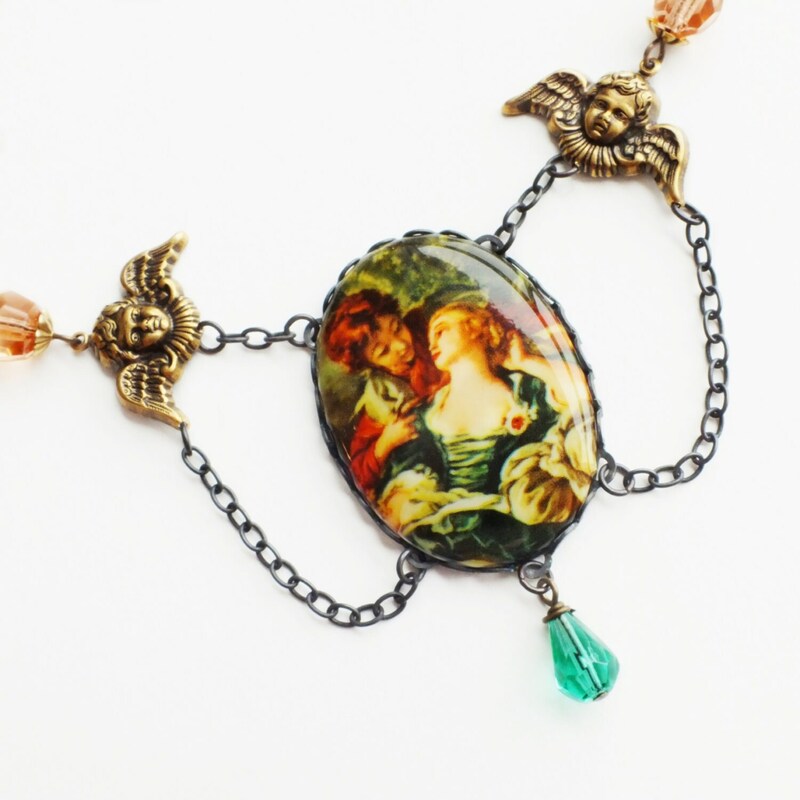 Made with a gorgeous large vintage cameo featuring a vivid oil painting of a romantic Renaissance couple in love embracing each other. 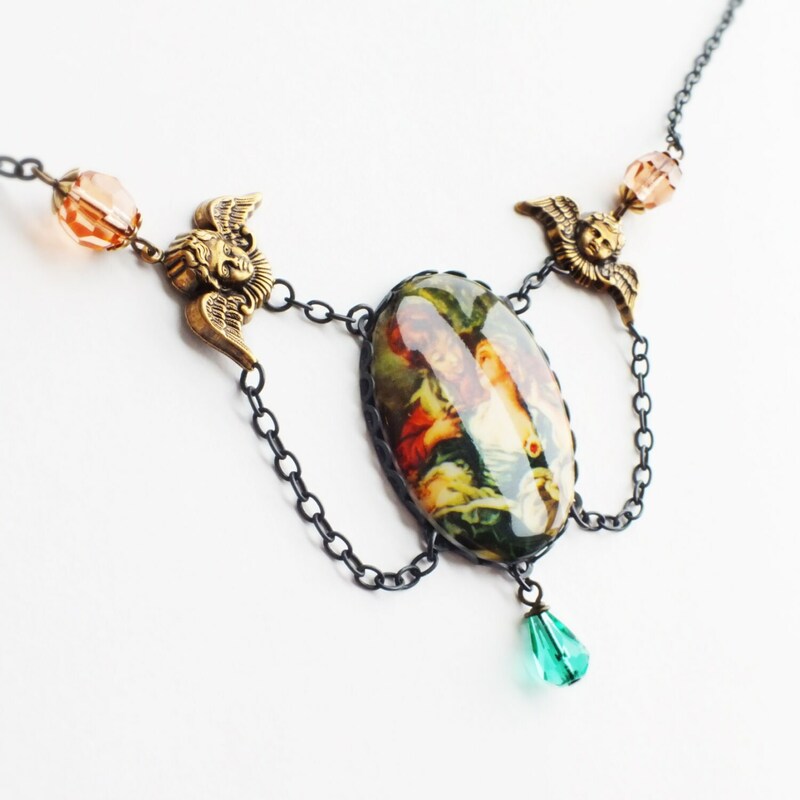 The gorgeous palette features deep velvety greens and rich brick red. 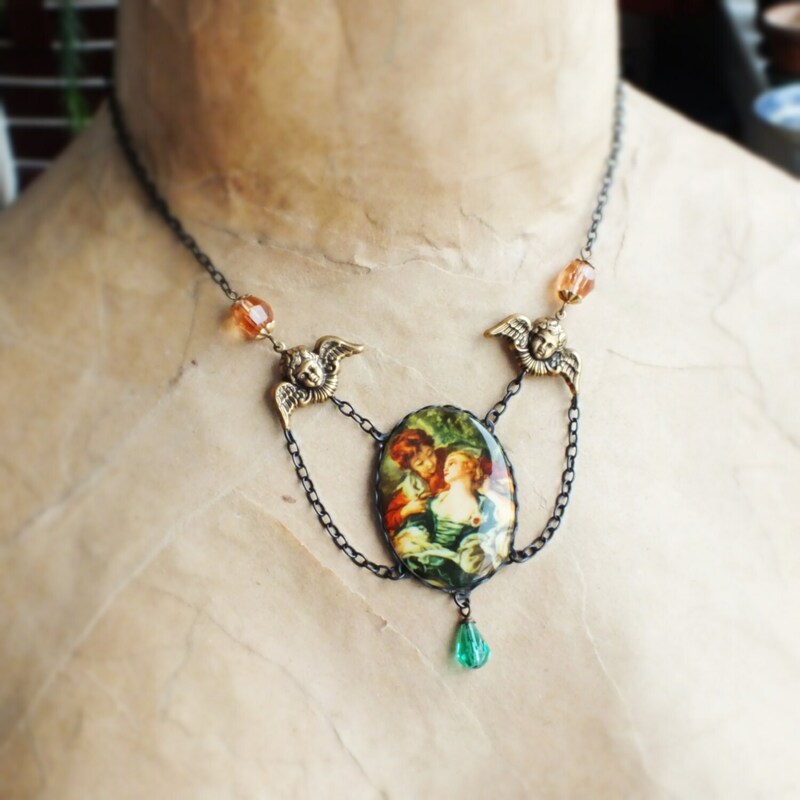 Set in antiqued brass adorned with a turquoise green glass dangle and framed by antiqued brass cherubs. 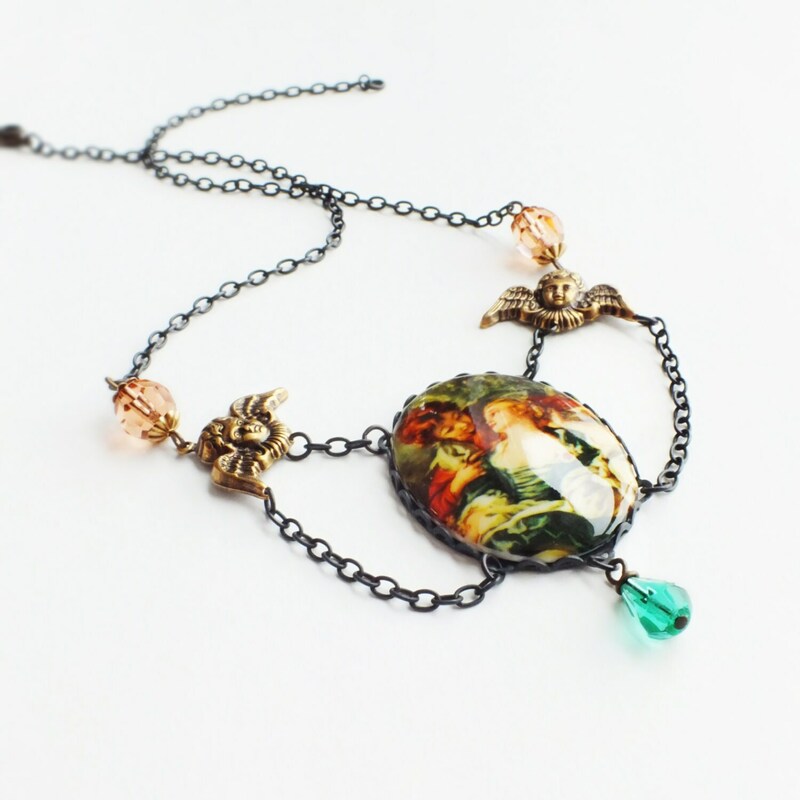 I added sparkling 'Rosaline' peach vintage glass beads and extra chain loops.